A key understanding of incarnational Trinitarian theology is that God has included everyone in his love and life through the incarnation, life, death, resurrection and ascension of Jesus and through what Jesus did at Pentecost in pouring out the Holy Spirit on all humanity. Are we then saying that all people have the Holy Spirit? There are several issues at work here, which I'll briefly address in this post. First, there is the nature and the timing of God’s call. Paul writes in Romans 8:30 that, "...those he [God] predestined, he also called; those he called, he also justified; those he justified, he also glorified." Here Paul addresses believers, locating their call in the broad sweep of salvation history, which sees all humanity as included in Christ---in what he accomplished for all humanity through his life, death and resurrection. This is the objective or universal reality of salvation history. And it is stunning good news! However, as Paul is also noting, salvation history also has a subjective or personal reality. Through the Holy Spirit, God acts to call individuals so that they might learn of the objective reality of salvation and then receive it personally. In Romans 10, Paul wonders how this personal response can occur if each person does not hear about and then respond to the objective reality of the gospel (Romans 10:9-15). Of course, there is no meaning to this subjective/personal response, if the objective reality is not first true (which it is). Moreover, there is no possibility that an individual will be able to hear (understand) and thus be able to respond personally to this objective reality, if the Holy Spirit has not first been poured out on all people as Peter, on the day of Pentecost following Jesus' ascension, declared had happened (Acts 2:14-21). Said another way, every aspect of the objective and subjective reality of our salvation is wrapped up in the person of Jesus Christ, by the Spirit. Because of this objective/universal outpouring of the Spirit, in Jesus, upon humanity, which is a revolutionary and stunning new event in salvation history, it is possible from that time forward that, "everyone who calls on the name of the Lord will be saved" (Acts 2:21). Sometimes people object to seeing this outpouring as meaning that all people from that moment forward "have the Holy Spirit." By that phrase, they probably mean that all people everywhere are converted to Christ. But that is not what an incarnational Trinitarian theology is declaring. Speaking of people as "having the Holy Spirit" typically reflects a reductionist view of salvation which sees it as a mere transaction wherein we give God our repentance and faith and, in return, he gives us the Holy Spirit for the first time (a misunderstanding of Acts 2:38--for a detailed exegesis of this passage, click here). All of us are fortunate that the transactional model of salvation is not the full truth. The truth of the gospel is that through Jesus' life, death, resurrection and ascension, and the outpouring of the Holy Spirit, all of us have been, in Christ, included in God's love and life. All have been "accepted in the beloved" as Paul says in Ephesians 1:6 (KJV). However, what is objectively true for all in Christ, must be personally (subjectively) received. And thus the ministry of Jesus from his ascension forward is to send the Holy Spirit to "all flesh" (Acts 2:17, KJV), in order that those who are ignorant of their true identity in Christ may come to know the glorious truth, hear God's invitation to repent (change their thinking about God and about themselves), believe (accept the truth in faith), then pick up their cross and follow Jesus. We would not even think about doing any of this unless Jesus had taken upon himself and made in our humanity a "home" for the Spirit and then poured out the Spirit in such a way that he then calls people "out of darkness into his wonderful light" (1 Peter 2:9) into "fellowship with his Son, Jesus Christ our Lord" (1 Cor 1:9). This calling, in Christ, to God (1Thess 2:12, 1Pet 5:10 and 2Pet 1:3) is the work of the Holy Spirit---a work that God himself initiates and accomplishes for us in the vicarious (substitutionary, representative) humanity of Jesus. Thus, all people are already, in, by and through Christ, called to God in an objective sense. But that call becomes personal in our subjective experience when the Spirit moves in a particular way in our life. This does not mean that the Spirit comes to us for the first time, but that now he is at work in us in a new (often mysterious) way. Theologians sometimes refer to this new movement of the Spirit as the “personal call” to distinguish it from the “general call” that has gone out to all humanity through the declaration of the gospel (2 Thess 2:14). The Holy Spirit, working sovereignly in people’s minds, turns the general call into a personal call—opening the person’s mind and summoning them to put their trust in God and to follow Jesus. Unless God works in a person’s mind (heart) in this way, there is no possibility of them coming to Jesus (apparently John's point in John 6:44). For an example of this personal call, see Acts 16:14 where God "opened" Lydia's heart "to respond to Paul's message." When the Holy Spirit moves in a person's mind and heart in this new way, that person is summoned by God to respond individually. God gives them the ability and thus the freedom to respond to his call with either their personal “yes” or their personal “no.” God never forces this personal response, for love never uses coercion as a tactic (and, as we are told in Scripture, "God is love"). Note, however, that our "yes" to God has no meaning unless God has first said "Yes" to us, and Jesus in his humanity had, on our behalf, given his "Yes" back to God. In light of this freedom, which God grants, we understand the importance of prayer in personal evangelism. We are called to pray that God will both call a particular person and that their personal response to God will be in the affirmative. Our responsibility then continues in our calling to share the message of the gospel with individuals so that God may use our words as part of both his general and personal call in people's lives. Note that it is vitally important to see Christ's incarnation, birth, life, death, burial, resurrection, ascension and his sending of the Holy Spirit as one seamless “Christ event” by which God placed humanity on a new footing—removing it from the parentage of the “first Adam” into that of the “second Adam” who is Jesus Christ (this is Paul's carefully reasoned point in Romans 5). The stunning truth is that through the Christ event, humanity is re-created. This being so, a more relevant question to ask concerning what happened on the day of Pentecost following the ascension of Jesus is this: In what sense was the Holy Spirit poured out on all flesh at Pentecost? First, it is important to understand that this “outpouring” was Jesus sending the Holy Spirit to all humanity in a new way (as pertains to the New Covenant). No longer was the Spirit being sent to only a few individuals within the Old Covenant community. From that day forward, the Spirit is being sent to all humanity. This is in accord with the prophecies of the Messianic Age (as Peter shows by citing the prophet Joel). Of course, the Holy Spirit has been with all people all along in the sense that in the triune God, “we live and move and have our being” (Acts 17:28). However, now Jesus is sending the Holy Spirit to humanity in a new and personal way—as the personal presence of Jesus himself with all people. Dietrich Bonhoeffer referred to this as Jesus “sharing the place” of all people—this is the nature of humanity now by virtue of what theologians refer to as the "hypostatic union" of God and humanity in the person of Jesus and also involving the outpouring of the Spirit on humanity. Do all people know of this inclusion of humanity in God's love and life---what Paul refers to as what God has done in Christ to reconcile all people to himself (2 Cor. 5:17-20)? No, our true humanity is now “hidden in Christ” (Colossians 3:3)---it is not seen and thus not experienced by all. Why don’t all (perhaps most) most people know of this? Because the Spirit has not yet performed the miracle often referred to by theologians as “illumination.” That miracle will come to each person in God’s perfect timing—at just the opportune time for each one. This timing, of course, is in God’s sovereign hands, and remains somewhat of a mystery to us. However, what we are to do is no mystery—the Holy Spirit leads us to join Jesus in what he is doing through the church, out to the world—declaring the gospel (the truth of people’s true identity in Christ) and then helping people commit their lives to Jesus and then share in his ongoing gospel-shaped work. That work occurs as the Spirit opens people's eyes to see what they had not seen before, then repent, believe, take up their cross and follow Jesus. For other posts that address the objective and subjective realities of salvation, click here and here. For another article on the outpouring of the Spirit on all flesh, click here. For an essay from Gary Deddo that addresses the biblical distinctions between believers and non-believers, click here. Hi Ted. I appreciate your post, but I'm still unsure how this "Trinitarian incarnational theology" deals with Romans 8:9 (in context) with regard to the Spirit and the unbeliever. This passage in Romans seems to clearly state that there are two categories of people: those who possess the Spirit and thus belong to God, and those who do not possess the Spirit and thus do not belong to God. How does Trinitarian incarnation theology reconcile Romans 8 with your understanding in this post. "You, however, are controlled not by the sinful nature but by the Spirit, if the Spirit of God lives in you. And if anyone does not have the Spirit of Christ, he does not belong to Christ." Great post Ted. Thanks for your excellent work. Amasing.Its incredible how the things I cried about thorough meditating in the Holy spirit.To see the feelings i felt and feel the connections i have made and the paths God has showed feeling the presence and love getting washed by the blood feeling the breath of life and the spring of that is faith of salvation through Christ to get prufied to get accepted to God`s kingdom.Seein all that written in well organised words the exact results and thinking processes i have made.No words.Only Truth. Awesome, you totally nailed it brother Ted! Why we invite the Holy spirit when we pray, is the Holy spirit leaves us? As I see it to "invite" the Holy Spirit is not to say that he is somehow absent. The "invite" is our way of acknowledging his presence and yielding ourselves it. i can't thank you enough, for the Spirit led me to this (very quickly) as i needed to have this clarified. Thank you Lord for Ted's helping us. Thank you, Ted. I have been considering this very topic and wondering. You have clarified this aspect of the Gospel so helpfully. Ted, maybe you can help with my next question. How is the healing power of Christ within us manifested? I am thinking of Jesus statement, "The things I do you will do and even greater things shall you do." Good question John H-Z. Certainly one of the considerations here is what is often referred to as "the ministry of all believers," in the sense that all followers of Jesus are called to be the healing presence of Jesus in the lives of others through what we might refer to as "pastoral care." 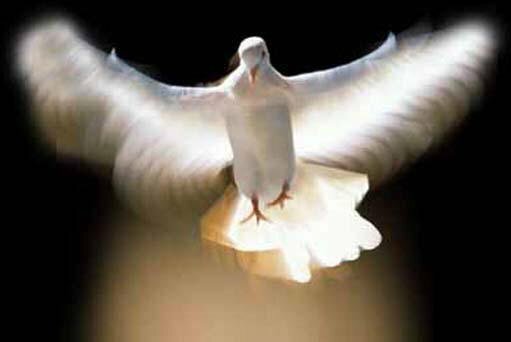 This is the ministry of the Spirit (the "Paraclete") being accomplished in and through the folloewrs of Jesus and their perichoretic ministry. For more about this, see the post at http://thesurprisinggodblog.gci.org/2016/08/the-ministry-of-presence-of-god.html. The apostle Paul clearly taught that we receive the Holy Spirit the moment we receive Jesus Christ as our Savior. First Corinthians 12:13 declares, “For we were all baptized by one Spirit into one body—whether Jews or Greeks, slave or free—and we were all given the one Spirit to drink.” Romans 8:9 tells us that if a person does not possess the Holy Spirit, he or she does not belong to Christ: “You, however, are controlled not by the sinful nature but by the Spirit, if the Spirit of God lives in you. And if anyone does not have the Spirit of Christ, he does not belong to Christ.” Ephesians 1:13-14 teaches us that the Holy Spirit is the seal of salvation for all those who believe: “Having believed, you were marked in him with a seal, the promised Holy Spirit, who is a deposit guaranteeing our inheritance until the redemption of those who are God's possession—to the praise of his glory.” (that 'we' are those who had believed, having been enabled by god, but I'm perceiving this is saying everyone already has it? That would be impossible.